The quality of the air your breathe can affect your health. There are already plenty of fancy air quality monitors and air purifiers available on the market. 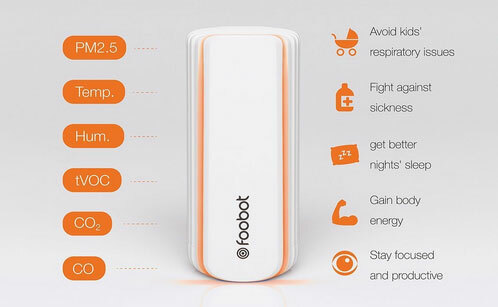 The Foobot happens to be an indoor air quality monitor that works with your smartphone to provide you with instant air quality reading. It allows you to monitor air quality in multi-room environments. 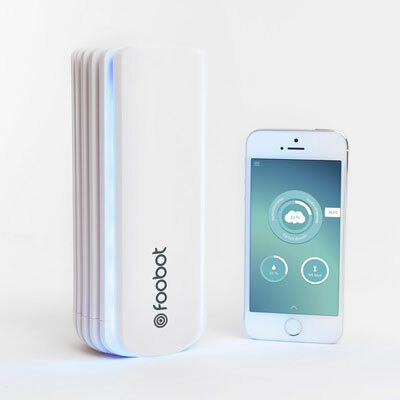 Foobot analyzes your indoor air and learns from your habits to help improve air quality throughout your home. It detects CO, CO2, tVOC, temperature, and humidity. The device provides with visual feedback on your indoor air quality. Like what you see? More information can be found here.